Throughout from November, is the month to harvest, fry, sell, devour and celebrate a Ugandan cultural delicacy. Grasshoppers, or ‘Nsenene’ as it’s locally known. The month mark the rising demand for the nation’s most beloved edible insect, and there’s a buzz of activity surrounding their capture, sale, distribution, preparation and culinary enjoyment especially around Central and south-western Uganda. 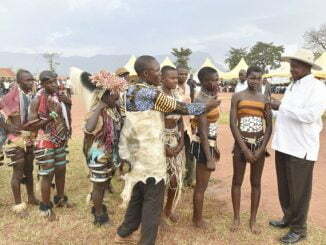 Nsenene is a cultural delicacy in Uganda that’s been enjoyed by the masses for many centuries. 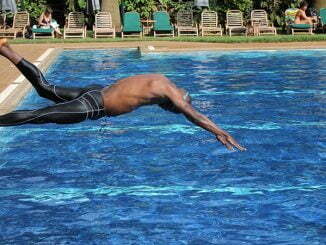 Grasshoppers come out after the rains, meaning Ugandans wait for a mini-season in May and the true season in November. It’s an unregulated industry and many different people of different income levels participate. Children catch the hoppers with their bare hands, women harvest with nets, and more serious business folks set up large sheet metal panels that are attached with simple light bulbs, which attract nsenene and capture them in large barrels at night. Ugandans prepare nsenene in various ways, though the most common is to fry them with onions and garlic and bit of lard and salt. I can say with certainty that these bugs are packed with flavor and make a unique, off-the-wall (literally) party snack. But not only are they saturated with flavor, grasshoppers are also an excellent alternative protein source. In April 2013, the United Nations (UN) released a report about the future of edible insects as an ethical, more sustainable protein source. Grasshoppers, after all, don’t have much of a carbon footprint when you compare them with the impact of raising cattle for beef. These edible insects are actually a high value source of nutrition on the wings, researchers have found. They contain exceptionally high amounts of proteins, fat, dietary fibre, and ash. Also grasshoppers provide a cheap and often free source of food as they are freely available in the wild for anyone willing and able to trap them. Nsenene, whose scientific name is Ruspolia Nitidula contains dietary fiber, which is rare of any animal based foods. The amount of dietary fiber in Nsenene higher than that in plant sources like peas, bananas or avocado. Dietary fiber supports regular bowel movement; helps maintain normal cholesterol levels and regular blood sugar levels as well as keeping the unwanted weight off. Lower cholesterol levels mean a lower risk for coronary heart diseases. The carbohydrate content of grasshoppers, while lower than many plant food sources, is higher than that of meat and fish which have practically no carbs. 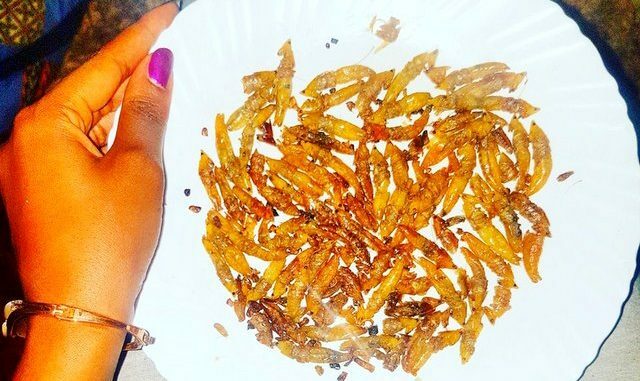 Those who eat them will tell you that grasshoppers commonly known as nsenene in Luganda is the crunchiest, most delicious and addictive dish of insects that they have ever eaten. I took the plunge and lived!